How do I get my lawn to green up fast in the spring? I am often asked this question every spring. Well that is a good question and below you will find three items that can turn your lawn from a napping, dull brown to vibrant lush green. In late winter mow the lawn short. Now I do want you to scalp the lawn as this can do damage to the turf. No instead I want you to set the mower at 2.5″ in height. What this will do is remove all the dead top grown from the year prior. In doing so the crowns of the plant, where the turf grows from, will be exposed to more sunlight. Sun is part of a plant’s diet, thus you have opened up the buffet of green. Remove all the winter debris that has blown in or fallen since fall. Most people think that the only time the leafs and debris need to be removed is in the fall. While this is a good practice, the debris also needs to be removed in the spring as well. Think of the debris as a wet blanket over a camp fire. The blanket prevents the fire from really getting going. This is no different than the debris on your lawn. This debris has several negative effects. First it prevents sun light from reaching the plant. This will cause the plant to die. Second, rain and snow are not able to penetrate the layer and once they do reach the soil surface there is no air flow so molds have the potential to develops. Perhaps most important to the appearance of the lawn, its just plain ugly to look at. The grass will need to be fed. This is accomplished by the timely application of a spring fertilizer plus crabgrass control. This allows for the soil to be replenished of important nutrients that may have been used during the prior growing season. Second, is the addition of a crabgrass control product such as Demention or Barricade. The timing of this application is very important. 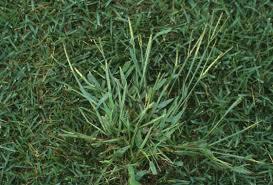 As the soil warms into the 55-60 degree range, weed seeds such as crabgrass. These weeds if left unchecked can destroy the lawn. 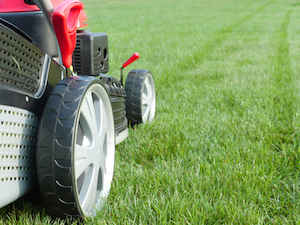 Follow these steps to a lush green lawn that your neighbors will be envious of. After reading should you have contact Green Head Turf Systems for all your lawn care needs from Olathe to Overland Park, Mission to Shawnee. we can help.